Staff Sgt. 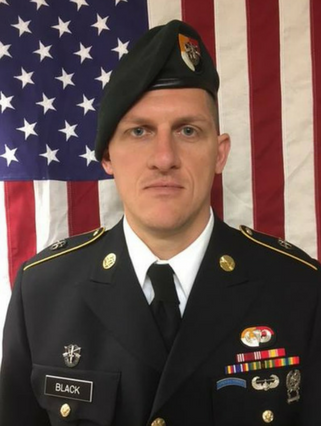 Bryan Black, 35, died from wounds sustained during enemy contact. He was assigned to 3rd Special Forces Group (Airborne) on Fort Bragg. Black, a native of Puyallup, Washington, enlisted in the Army in October 2009. His awards and decorations include the Army Good Conduct Medal, National Defense Service Medal, Global War on Terrorism Service Medal, Army Service Ribbon, Special Forces Tab, Ranger Tab, Parachutist Badge, Air Assault Badge, and Marksmanship Qualification Badge – Sharpshooter with Rifle. Staff Sgt. Black served as a Special Forces Medical Sergeant (18D).